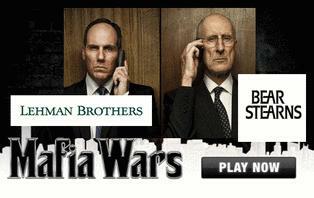 NEW Mafia Wars -The Lehman Family vs The Bear Stearns Family! While the widely popular Mafia Wars is chewing up the digital landscape by trying to recruit everyone on Twitter one tweet at a time, there are two other nefarious families making the social networking scene. These families, just as ruthless and similar in style to the mafioso have the makings for a great new Mafia Wars game. Hailing from the Bowery of Manhattan, known for seeking instant ratification,running the numbers and gambling on high stakes, they also had their shot at building an unorthodox empire. 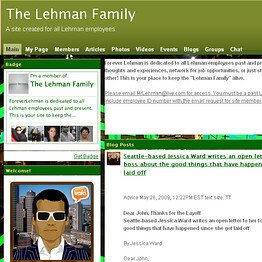 Well, while this new version of the game is yet to be developed, after I saw what Sanjeev Naraine was able to accomplish in building two social networks for the displaced employees of Lehman Brothers and Bear Stearns, I thought it would provide a unique spin on the current Mafia Wars game, if you pitted the two families against each other. Nariane, the mastermind behind the networks has already done a lot of the leg work. 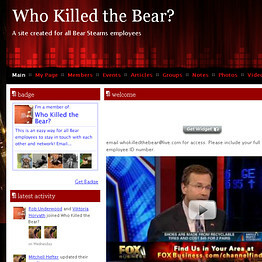 When he was laid off by Bear Stearns in October, 2007, the 31-year-old decided to create a new home for his colleagues, a social network site called "Who Killed the Bear?" in May 2008, and has amassed to date a following of 2000 ex-BSers. A year after Lehman Brothers filed for bankruptcy, he followed up his BS success with a new niche social network called "Forever Lehman." The dedication on the FL site states, "to all Lehman employees past and present. Share your thoughts and experiences, network for job opportunities, or just stay in touch with each other! This is your place to keep the 'Lehman Family' alive." Now granted, the FL family does outnumber the BS family by 700 members, but if both groups were presented with the goal of increasing enrollment, I think they could rise to the challenge. which family attended the most happy-hour functions! which family attracted the most followers on Twitter! which family secured a book deal first! which family has the most whistle-blowers ready to speak to the authorities! which family secured the greatest ROI by bankrolling their severance on the stock market! So...who are you rooting for? Forever Lehman or Who Killed the Bear? 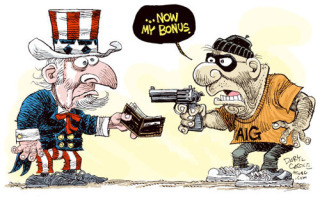 Or perhaps they will both be nosed out by that new family moving in on their turf...anyone remember AIG?